As educators and students seek for more ways to improve teaching and learning in this digital era – it is only reasonable to expect the increasing growth of education technology and all it’s associated tools, products, benefits, disadvantages and yes – challenges. For now, the major area where education technology has gained the most momentum and popularity is online learning itself – or e-learning. E-learning is a broad field that can be applied in various contexts. In simple terms, it refers to the practice of conducting learning through digital means. This can be either in the school, work place training or for personal consumption e.g a student or career professional trying to develop his/her skills. Tutor.ng offers professional training courses to learners at affordable monthly subscriptions and the convenience of online learning. 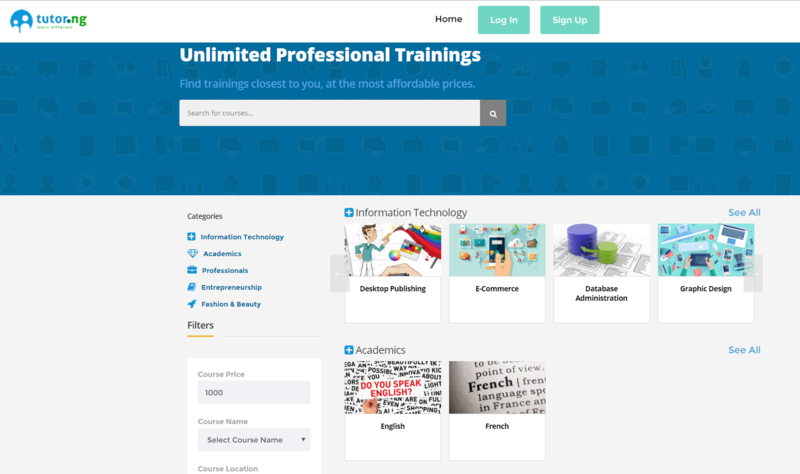 Courses on tutor.ng range from Beauty and Fashion, I.T, skills and business.Registered tutors upload their content and learners can sign up and start learning any topic of their choice. Tuteria is designed as a platform where students or their parents can find qualified subject experts around their area and book their tutoring services. 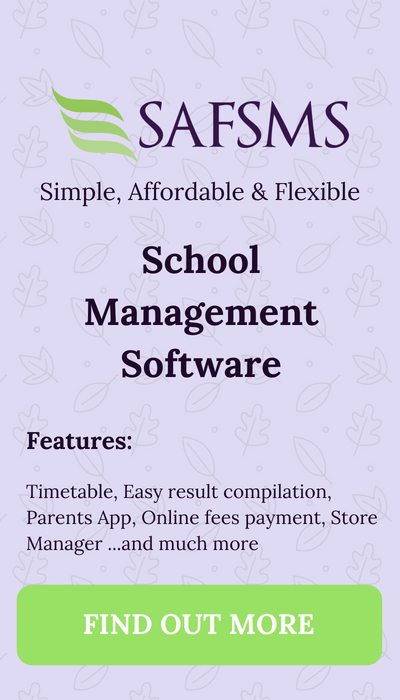 Parents can book home tutors for their kids and other users can simply book tutors to learn from a wide range of subjects such as make up and other crafts. Of course, you can also register to become a tutor and make extra money by sharing your expertise on a subject you love. City tutors is another similar platform for accessing to quality tutors on different subjects. In addition, you can find experienced tutors to assist you in preparation for national and international exams like JAMB, TOEFL and more. City tutors also offers: Translation services, vocational training, teacher recruitment services and editing/writing. 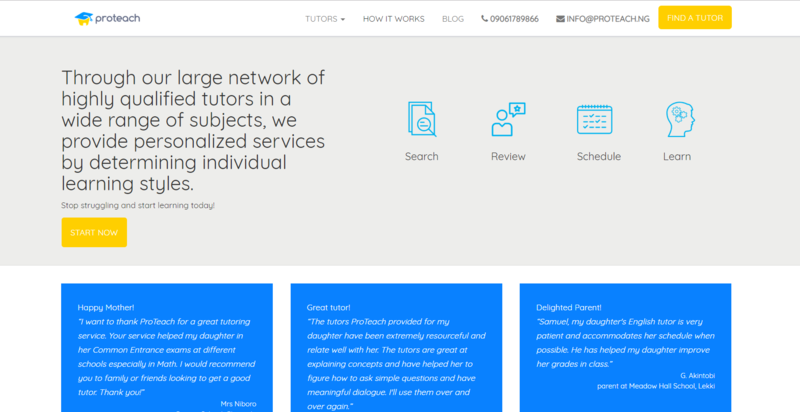 Hire your perfect private tutor on ProTeach. 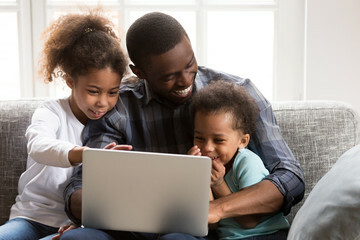 The website promises a personalized home tutoring service by identifying learning styles and connecting you with the ideal teacher for any subject or exam. Much like the others on this list, you can either sign up as a tutor or create a basic account to request a tutor for your child. Apply to be a private home tutor in any field or capacity ranging from home tuition, professional exam preparation and international entrance exams. Compass tutor also offers entrepreneurship skills and gives the option of online tuition for those who may be unable to attend face to face tutoring sessions.Another service offered by compass tutors is in-school tuition. Prep class connects tutors and learners on different subjects. You can get started easily either as a learner or tutor by registering on the website. The site is highly reliable and easy to use. Prospective tutors are vetted and only qualified persons are approved to start teaching. Prep class’s system then matches learners and tutors within the same area. These are my personal top 6 reliable platforms for finding online tutors and for those who would like to start a career as a home tutor. Of course, there are several online tutoring sites in Nigeria which, combined are essentially aiming to bridge the gap between the struggling education sector and a well-rounded student/career professional. 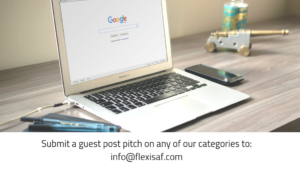 Do you know any more online tutoring sites or perhaps have an addition or comment about any of the entries on this list? Leave a comment below!